Fronde Systems Group has given notice that it is going to de-list from the alternative Unlisted trading platform in January. “Over the past few years we have not seen a high level of trading activity in Fronde shares through the Unlisted market," said Emma Watson, chief operating officer of Fronde. "Our participation in the market adds compliance costs for the company, on top of the listing fees. "At this time, we are prioritising investment in the development of IP and growing our premium consulting services." Fronde said it is focused on transforming the business and investing in premium consulting services as well as to deliver tangible business outcomes for customers. The business has given notice to Unlisted and expects the delisting to take effect by Tuesday 22 January. There are no plans for alternative share trading arrangements at this time. 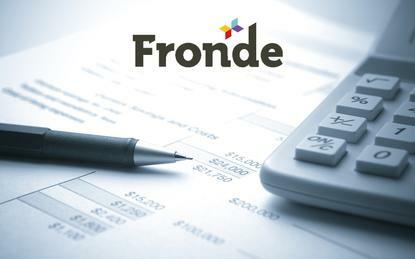 In June Fronde reported flat revenue growth at around $50 million year-on-year but a 26 per cent increase in net profit. Furthermore, CEO Anthony Belsham left the company at the end of November to become CEO of Fisher & Paykel Technologies - he has not yet been replaced. A spokesperson said an executive search is under way in New Zealand and in Australia and is on track with "several promising candidates". Meanwhile, the executive leadership team is collectively taking on ownership of CEO tasks and responsibilities. A Salesforce, Netsuite and Google partner, Fronde is based in Wellington with offices in Auckland, Sydney, Melbourne, the Gold Coast and Manila.